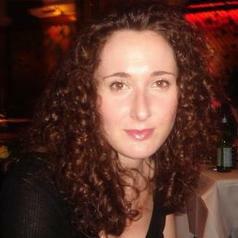 Lina Dencik is Senior Lecturer at Cardiff School of Journalism, Media and Cultural Studies. She was previously a Research Fellow at the Central European University in Budapest and holds a PhD from Goldsmiths, University of London. Prior to that she worked as a television producer/director at Brook Lapping Productions. With a background in Politics and International Relations as well as Media and Communications, Lina is guided by an interdisciplinary approach to understanding media and social and political change. She is the author of Media and Global Civil Society (Palgrave 2012) which takes a critical look at developments in news practices and cosmopolitan theories of ‘global civil society’ as well as co-author (with Peter Wilkin) of Worker Resistance and Media: Challenging Global Corporate Power in the 21st Century (Peter Lang 2015) which examines digital activism and the changing nature of labour movements in the contemporary global political economy. She is also co-editor (with Oliver Leistert) of the volume Critical Perspectives on Social Media and Protest: Between Control and Emancipation (Rowman & Littlefield International 2015), which critically interrogates the uses of commercial social media platforms for the purposes of anti-systemic protest movements. Lina has recently been involved in a number of projects that examine aspects of citizenship in a digital age and acted as investigator on the projects ‘Managing “Threats”: Social Media Uses for Policing Domestic Extremism and Disorder’ funded by the Media Democracy, Open Society Foundations and Ford Foundation as well as the ESRC-funded project 'Digital Citizenship and Surveillance Society: UK State-Media-Citizen relations after the Snowden leaks' both hosted at Cardiff University.